Hyderabad, the capital of the Indian state of Andhra Pradesh is one of India’s hottest outsourcing destinations. This growing information technology city is rightly nicknamed as Cyberabad, as it holds the seventh position among the world’s top ten outsourcing destinations. This city is famous for healthcare, software testing, customer support, product development, finance & accounting services and ADM services. Hyderabad’s low cost of living and its large number of educated resources have attracted several foreign investors. Though not a metro, Hyderabad has grown as a stable outsourcing destination over the years. Today, a large number of software companies, BPOs, business firms and consulting firms have set up offices in Hyderabad, making it India’s hi–tech city. 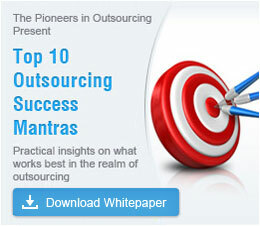 As an outsourcer, you can easily find a vendor in Hyderabad for any service that you wish to outsource. The leading ITO service providers in Hyderabad are Wipro, Infosys, Mahindra, IBM, TCS, iGate, Accenture and Satyam. Several IT / ITES companies and BPO firms have setup branches in Hyderabad, giving rise to a township with state–of–the–art facilities, referred to as HITECH city. Hyderabad has indeed become a hub of BPO firms, the famous BPO service providers being 24X7 Customer, EDS, Mahindra Satyam BPO, Deloitte and Sitel. Leading multinational corporations have made widespread digital infrastructure investments within the city, making Hyderabad a competitive outsourcing destination. The state of Andhra Pradesh produces the most number of engineers in India. Hyderabad has six state universities; two deemed universities and three central universities that deliver skilled professionals year after year. Hyderabad is India’s second largest provider of IT enabled services after the NCR region. Hyderabad has gained the status of being a leading outsourcing destination for IT, ITES, ITO, BPO, pharmaceutical customer support and other back–end outsourcing processes, as it has a large talent pool. Hyderabad has the largest number of highly educated professionals. Global companies, such as, Microsoft, AT&T, Deloitte, HSBC, Bank of America and Novartis have set up offices in this city to use the skills of Hyderabad’s expert professionals. Many outsourcers prefer to outsource to Hyderabad, because of its robust infrastructure and government cooperation. Hyderabad has low labor costs, when compared to other Indian outsourcing locations, such as Bangalore. The government of Hyderabad has established business and operational friendly policies that offer incentives and infrastructure requirements to the IT industry. You are convinced that Hyderabad is the right outsourcing location for your business firm, but you want to see the infrastructure that Hyderabad has to offer and pay a visit to the HITECH city before signing an outsourcing contract. While on your business visit to Hyderabad, you can stay at some of India’s finest five star luxury hotels that offer world–class amenities, state–of–the art corporate facilities and mouth watering cuisine. Make a decision to outsource today! Choosing to outsource to Hyderabad is something that your business firm must consider, as Hyderabad can give you access to some of the most talented software professionals in the world at a low cost.